Posted: Friday 15th August 2014 in Paid Media, Thought Leadership. 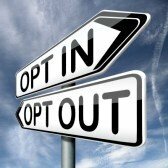 This week Google announced that as of next month they will be removing the opportunity to opt out of close-variant matching in paid search. Close-variant matching enables you to extend the reach of exact and phrase match keywords to cover misspellings, abbreviations, etc. Google Panda 4.0 – significant update? Although the majority of Summit’s clients have been opted in to accept plurals, misspells and other close variants since the launch in 2012, there are implications on those campaigns which are specifically strategic or only contain exact match keywords. Accounts where we have exact match only campaigns will now trigger creatives for close variants of the keywords, meaning search query maintenance will become more important in order to try and retain some of the control which Google are removing. At Summit we are encouraging our teams to continue to add misspelled keywords which have driven traffic or sales in order to maintain control and optimise effectively. For more details on this change or to find out more about our products and services please contact Dave Trolle on (01482) 876876.